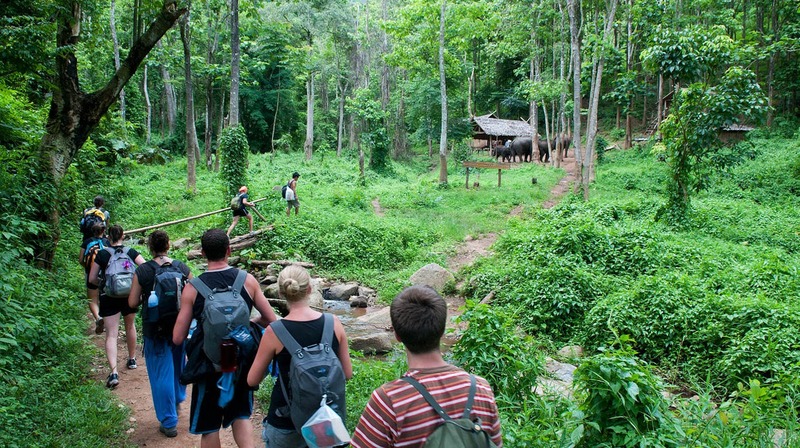 Trekking in northern Thailand is an exotic experiencing everyone can enjoy. This exotic adventure features beautiful mountainsides, wonderful people, and hidden villages to explore. If you crave an extreme adventure, then trekking in northern Thailand is the perfect fix! Most trekkers come to northern Thailand for a sense of adventure. No matter how adventurous you are, you should join a tour group in order to experience all northern Thailand has to offer. Trekking groups last anywhere from a few days to several weeks; you will be able to find the one that works for you. You can join the group simply by buying tickets from the box office theatre or organising things when you are in Chiang Mai or from you Thailand Hotel. There are many benefits in joining a tour group. These guides know the areas by heart, and help you find only the best in each journey. You will not get lost along the way either. These groups also bundle together many activities like rafting, rock climbing, and camping. You are not sacrificing the adventure by joining a tour group, and you will find that these groups offer more than you had originally expected. Trekking in northern Thailand offers many unique experiences. One of the most acclaimed aspects is the hidden village. There are numerous hidden villages set up along popular trekking paths for you to discover. Hidden villages often contain tourist friendly locals. These locals set up shop and provide great service at a cheap price. You can get fine cuisine, fresh tea, and dozens of unique items to bring back from your journey. The most famous hidden villages are in around Chiang Mai and Chiang Rai. These two were built with tourists in mind, but they still offer a great and unique experience to travelers. You will need to spend more money; however, these villages offer a more personal experience than the rest. 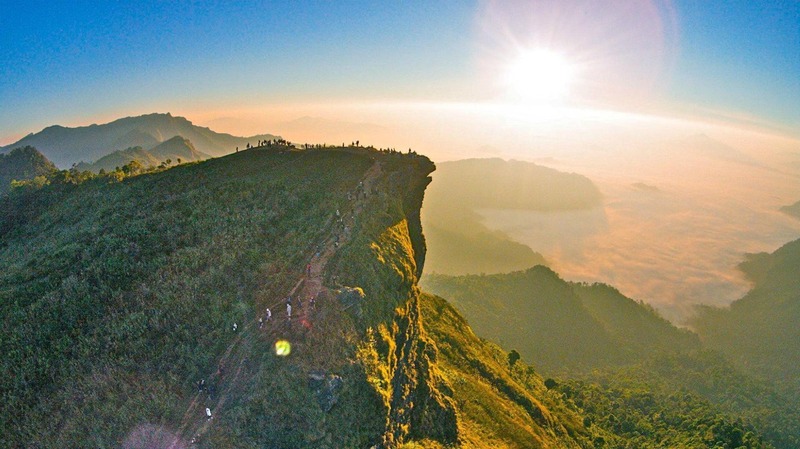 The Phu Chi Fa is a breathtaking mountain that you must visit. This large mountain is symbolic in northern Thailand for its staggering beauty and height. Most tour guides will take you there, but make sure that it is included before beginning your trek. The cuisine in northern Thailand is quite unique. With pork being the main meat served, you will often find large dishes with a very bitter taste. The food is quite greasy but still remains healthy. Any of the local dishes are sure to satisfy your hunger after a long day of trekking. Trekking in northern Thailand will be unforgettable experience to those seeking adventure. The numerous tours available will add to your experience by providing extra features. With beautiful scenery, wonderful food, and a wild sense of adventure, northern Thailand is a perfect destination thrill seekers. You can organise your own trekking tour or you can go on one that has been operating for years and takes you to the best places for the right time of year. getting to chiang Mai and Chiang Rai is no longer a trek within itself. There are many different ways to get there and you can search all the ways below.